Long have I heard about the hilarity of the Phineas and Ferb tv show. During this holiday break, I finally had the opportunity to watch a few episodes. 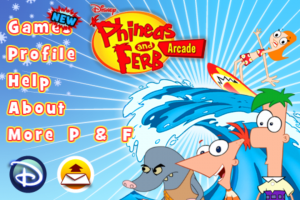 With a brief understanding of the spirit of the show and appreciation for their humor, I figured it would be an opportune time to review the Phineas and Ferb Arcade game for iPhone and iPad! The app has a lot of fancy animation between screens and menus. The first screen is fairly standard, so we’ll head to the “Games”! The first game is “Escape from Mole-Tropolis”. The “Escape from Mole-Tropolis” game is basically a scrolling game like early games of the 80s. 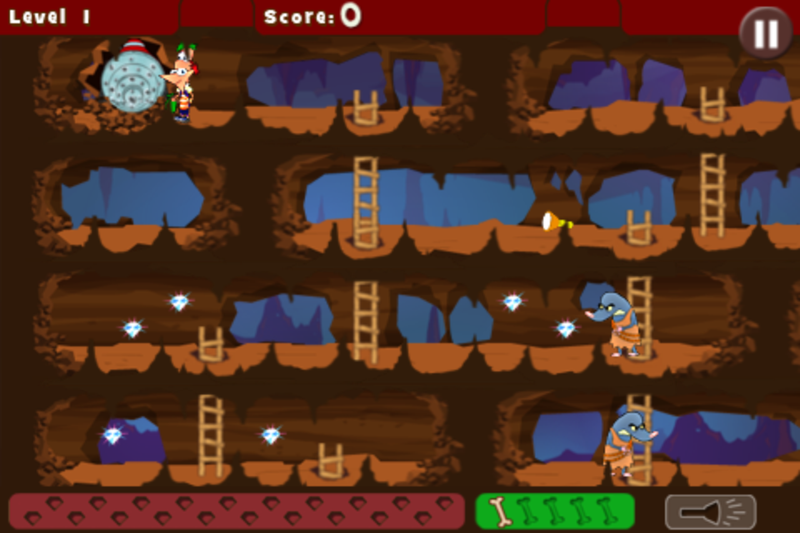 You need to grab diamonds, fossils, and other tools to complete the level, all while avoiding the mole’s! Once you collect enough, you need to bring them back to where you started. The “Escape from Mole-Tropolis” is a pretty simple game, and very retro for me. It is pretty simple to understand and should be accessible to most ages. 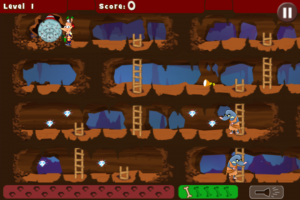 The second arcade game is called “Agent P’s Hideout”. This game is also fairly simple to understand. 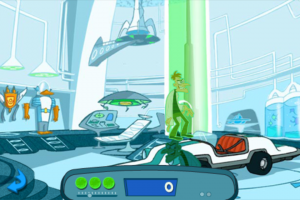 You need to watch for Dr. Doofenshmirtz, and tap on him before he disappears. Be careful not to tap on anyone else that pops up or let Dr. Doofenshmirtz disapper, because three misses will end the game. This is a test of reflexes and observation. “Agent P’s Hideout” is another simple game, that most ages should be able to enjoy and easily become addicting. The third game of the app is called “S’No Problem”. 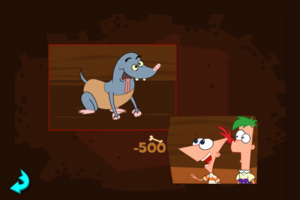 You need to help Phineas and Ferb bounce snowballs with a trampoline, while making sure the blimp doesn’t get too close to them! Between all the games of the arcade, I felt this probably had the most challenge. I expect that younger children may easily get frustrated by this one, but who knows with kids these days. It can be difficult to bounce the snowballs, a couple times, while keeping track of the blimp as well. The final game of the arcade is “Cowabunga Candace”. 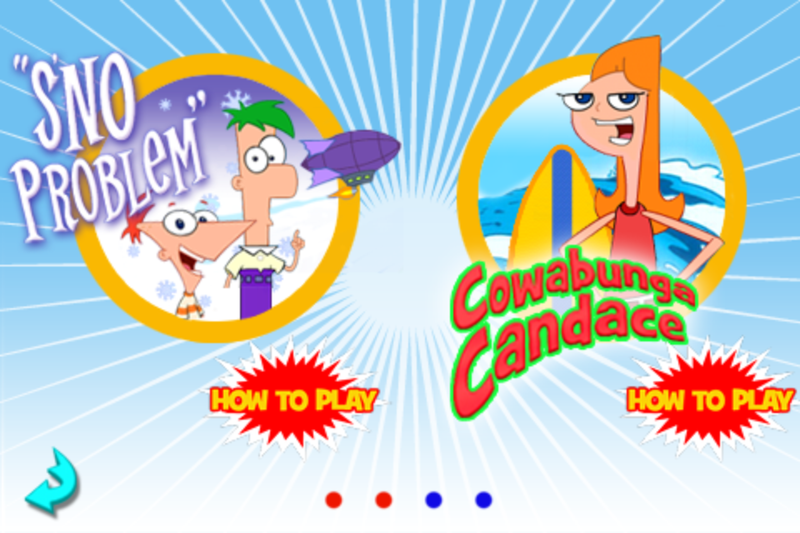 In “Cowabunga Candace”, we ride waves, avoid obstacles, and earn trophies. Yet another fun game which most players should be able to master with relative ease. I don’t think any individual one of the games would be worth the $.99 price, but the combination certainly adds up to be a fun time. They could have spent more time on the games than the transitional animation. The app did seem to not handle pausing or exiting well, typically requiring a full restart of the app. The most recent release, version 1.2.1, was for “Minor bug fixes and optimized performance”. This encourages me that they want to improve the app, but it has been LONG past a year since that update. I wouldn’t hold my breath for an update in the near future. Regardless, I think the games are easily worth the distraction they can provide for you or a child. 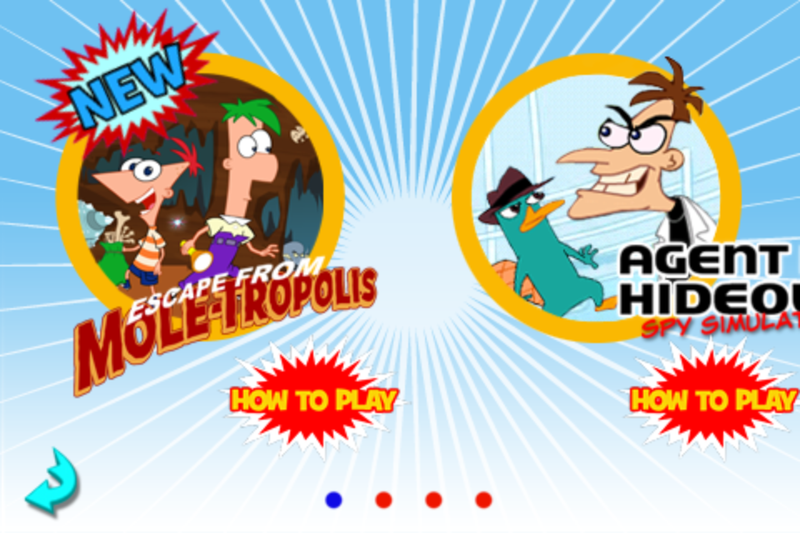 SUMMERIZE YOUR FUN WITH PHINEAS AND FERB ARCADE, NOW WITH MOLE-TROPOLIS! The best online games from Disney Channel and DXD’s hit show are available on iPhone and iPod touch! 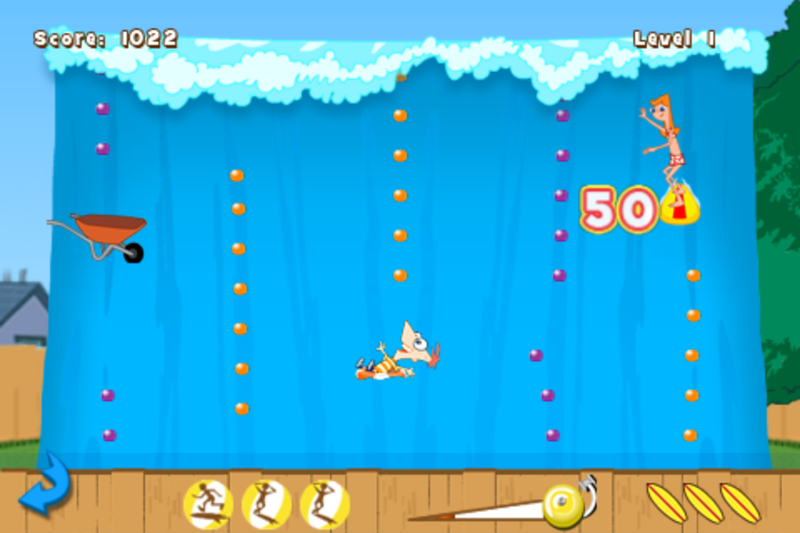 Play four wild and wacky games all in one app! Candace has been captured by the Mole Men and it’s up to Phineas and Ferb to save her! 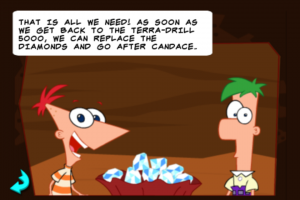 Venture to the center of the earth with Phineas’ Terra-Drill 5000 and collect fossils, diamonds, and use your flashlight to stun the Mole-Men. Ride the waves and win the surfing trophy! Perform stunts, collect tricks, and avoid the obstacles to win! 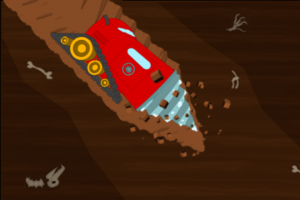 Hone your secret agent skills in this hideout infiltration simulation. 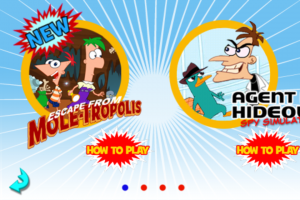 Tap on the Dr. Doofenshmirtz holograms before they disappear! Phineas has solved the boys’ snowboarding dilemma! With their combination snow maker and tennis ball server, use the trampoline to bounce snow balls across the yard to build a mountain! Don’t let Dr. Doofenshmirtz’s blimp get too close — that exhaust is hot! 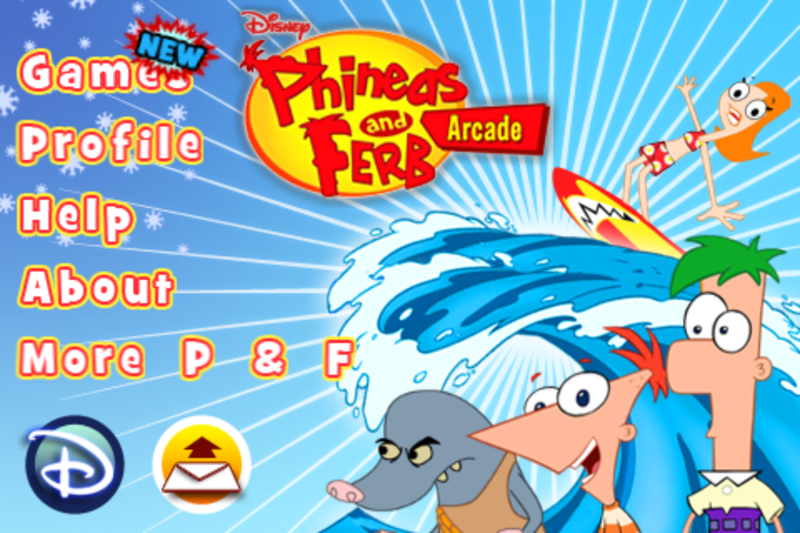 Phineas and Ferb Arcade features music from the hit TV show, easy touch and motion controls, achievements, leaderboards and much more! With all this fun, what do you wanna do?